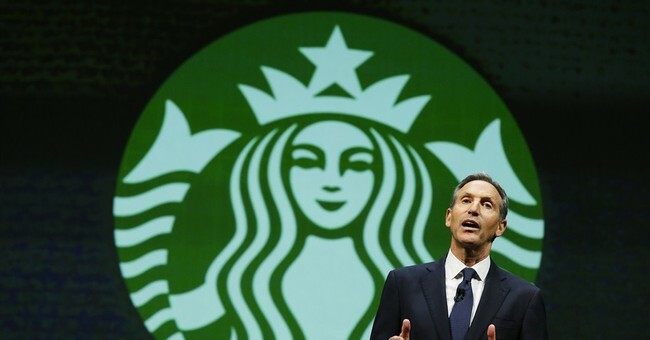 Here’s something that will definitely make that $5 cup of coffee go down a little smoother: Starbucks CEO Howard Schultz announced Wednesday that he will be donating $30 million to help our war veterans. The donation will mostly go toward traumatic brain injury and PTSD research, he told CBS News. "The truth of the matter is, and I say this with respect, more often than not, the government does a very -- a much better job of sending people to war than they do bringing them home. These young men and women who are coming home from multiple deployments are not coming home to a parade. They're not coming home to a celebration. They're coming home to an American public that really doesn't understand, and never embraced, what these people have done." Our veterans are learning important skills from their military experiences that not even the best business schools in the nation could teach. Schultz said these skills are incredibly valuable to any American business, institution, or enterprise. And he’s turning his words into action. Not only did he commit to the generous research donation, he also told CBS that Starbucks will hire 10,000 veterans or their spouses over the next five years. Let us hope that other business leaders and companies follow suit.